Spacious home on large .4 acre lot in the heart of Mulberry! You'll appreciate the neutral paint inside and out, as well as the low-maintenance ceramic tile flooring (NO carpet). Enter through the living/dining room combination which is adjacent to the kitchen/family room combination with fireplace! The kitchen has newer cabinets and stove, refrigerator, and dishwasher are provided. The master suite offers backyard access with newer sliding glass doors, and a private bathroom with shower (no tub). The secondary bedrooms and main living area are adjacent to the home's second full bathroom. 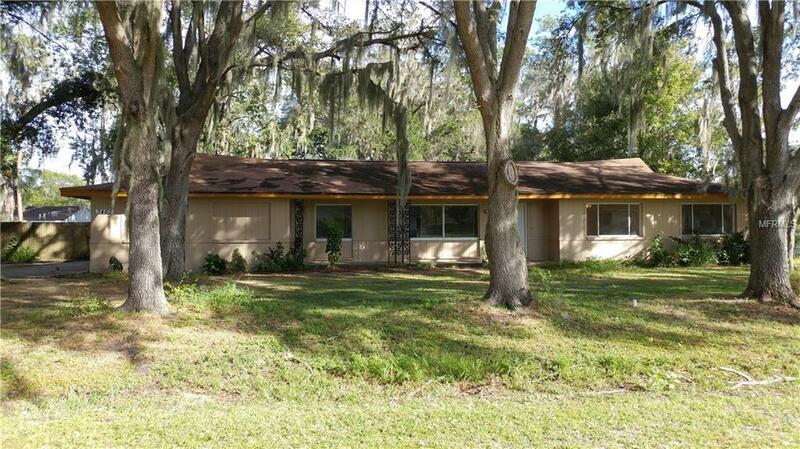 This home is on a large lot with lots of beautiful oak trees. Schedule a tour right away. Equal Housing Opportunity.